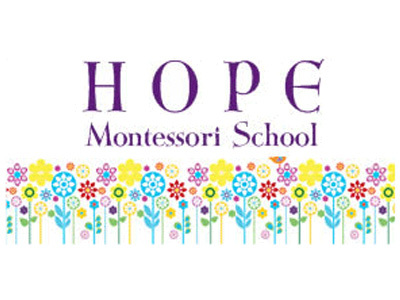 The purpose of Hope Montessori School - Preschool and Childcare Program is to provide a well-rounded education for the children ages 18 months - 6 years old. We believe every child is born with a gift to be used to help the world become a better place. It takes time to discover these gifts and talents to bring them to their full potential. Our job is to help children grow independently and develop intellectually, emotionally, socially, physically, and spiritually, by offering a wide variety of opportunities to build self-esteem while experiencing challenge and success. Your child's intellectual activities and self-esteem grown hand in hand. Imagination and curiosity are cultivated. Students learn to respect all cultures and people. Teachers care deeply for the student....who happens to be your child. The Hope Montessori School, located in The Woodlands, Texas, is a diverse learning community where independence, positive self-esteem, critical thinking, responsibility to self and to others, and a peaceful appreciation of the Earth are fostered in each and every student. In addition to providing the many extras you would expect from a private education, Hope Montessori School - Private Preschool and Childcare Program is also a Montessori learning environment, fully devoted to the Montessori philosophy. We strictly follow the guidelines stated by the American Montessori Society. We are professional educators with knowledge and experience teaching young children. (Two of our senior staff members combined have more than 70 years of devotion and experience in working with children). Our preschool and childcare program includes a lot of multi-cultural activities (including the basics of foreign languages, such as French, Spanish, Hebrew, Arabic, German and Russian), physical education on a daily basis (including basics of martial arts and yoga), art classes, music and gardening.